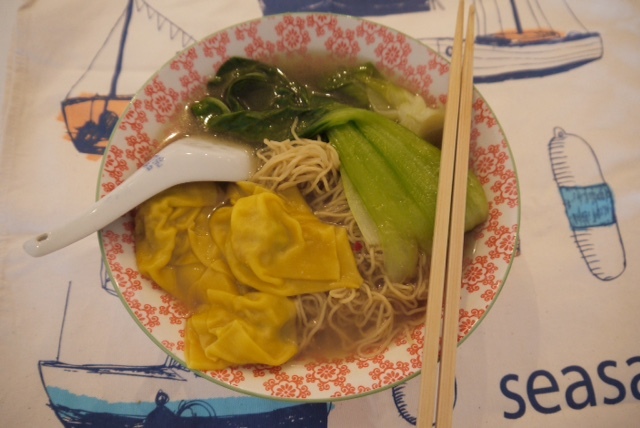 Today I am sharing one of my all time favourite chinese dishes with you all Wonton noodle soup. 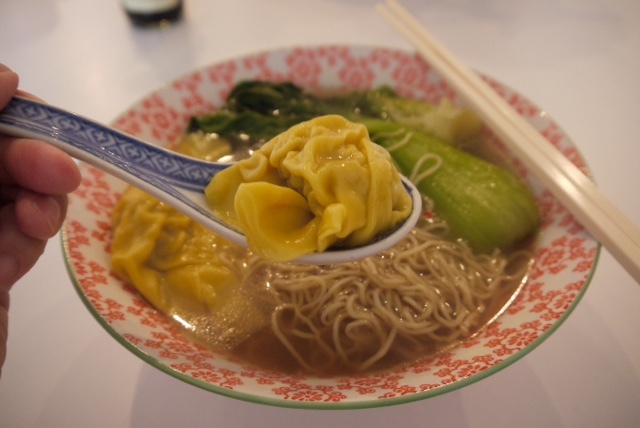 Wonton is the name giving to a the dumpling in the photo above, it's served worldwide. The word translates to "swallowing clouds" because of how they look. 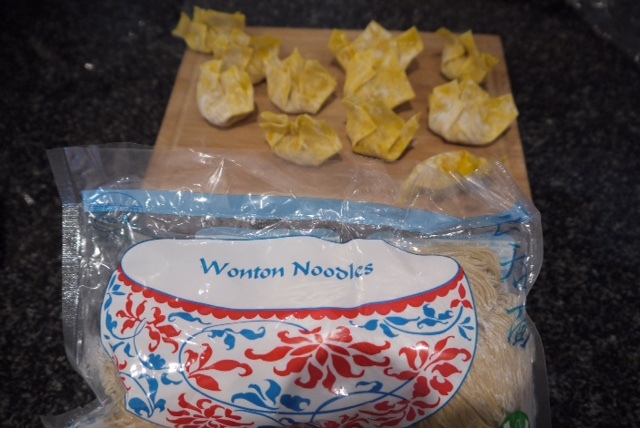 Wontons can be cooked in 2 ways either fried or boiled served in a soup or soup noodles like I've done above. 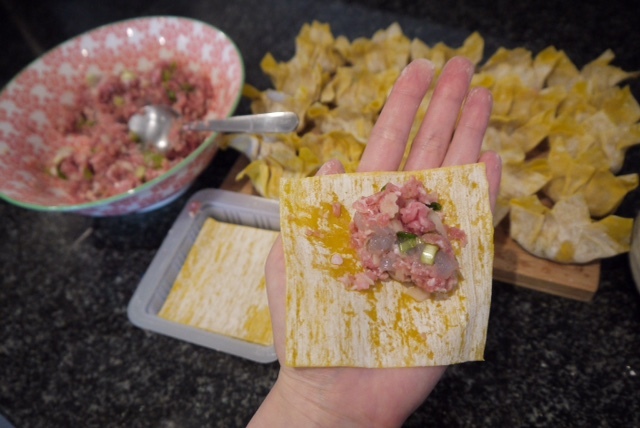 They are super easy to make and I usually make them in batches to freeze so they are available when ever I fancy eating them. 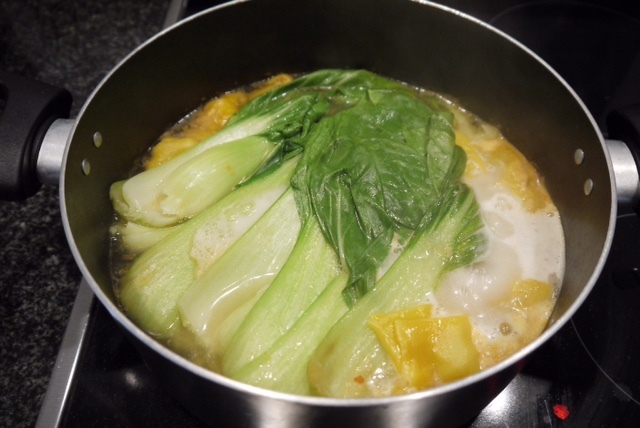 As with a lot of my cooking I don't measure / weigh I tend to do things by roughly guessing. 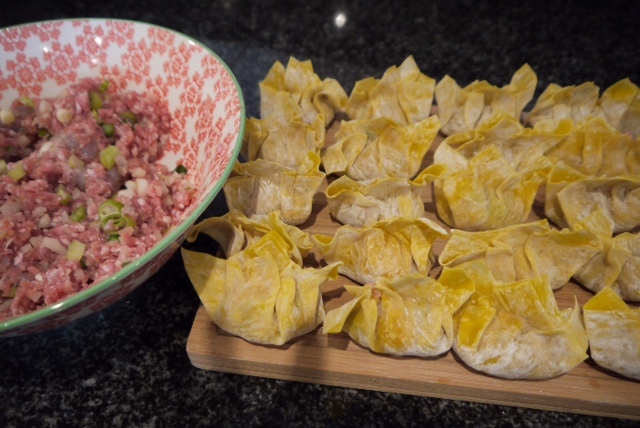 It's one of those things the more you do the easier it is in knowing how much this / that to add in. 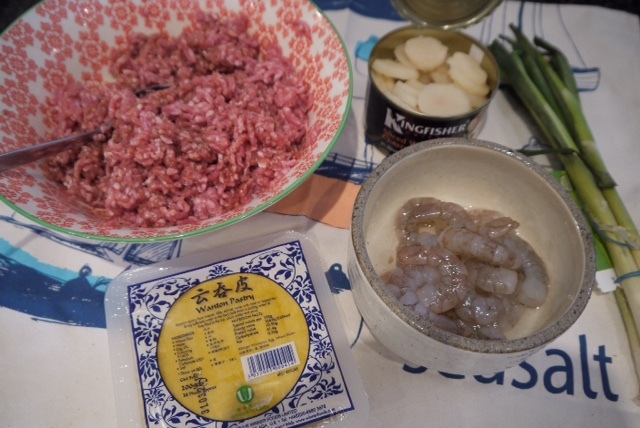 Chop up: prawns / water chestnuts and spring onion. 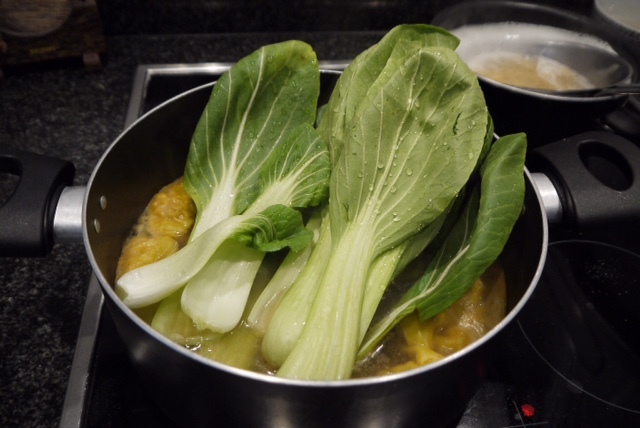 Then mix it all in with the pork and season with soy sauce / sesame oil and salt. 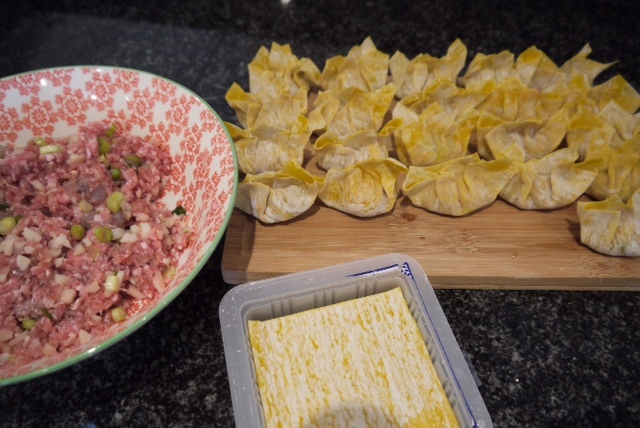 If you have time you can chop it all up and bind the ingredients further then its ready to be wrapped up as shown below. 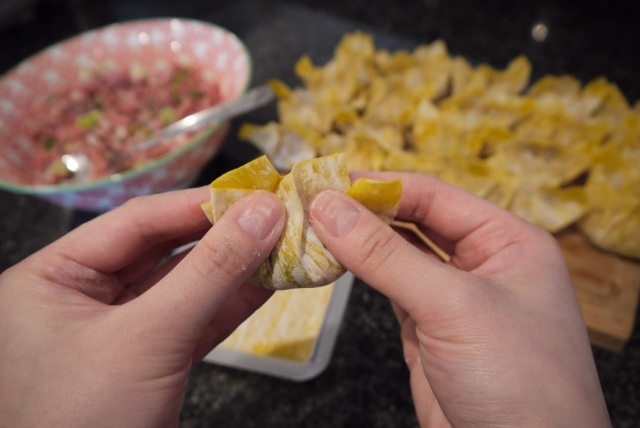 To ensure the wonton pastry sticks together you just need to dab each corners of the pastry with water. 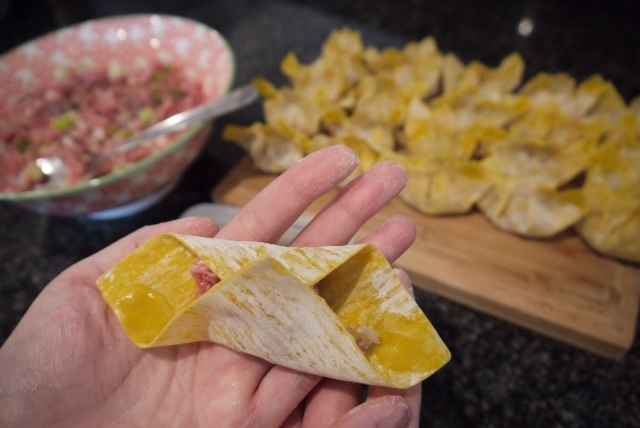 Wrapping wontons is one of those things the more often you do it the fast you get. 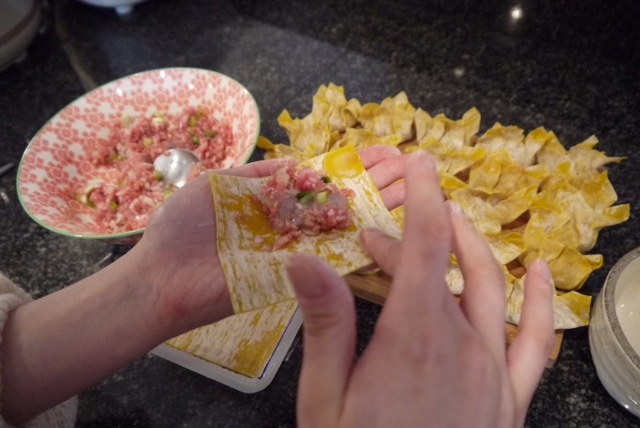 It's very easy to do and something the whole family can get stuck in on. It may seem a lot but when you eat around 5-6 at a time and there are 2 of you they do go quick. 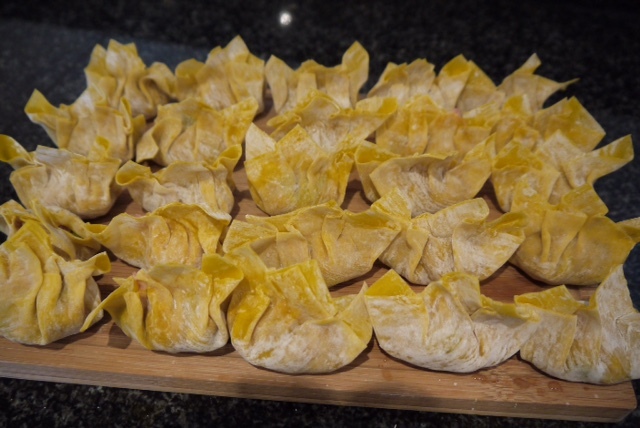 I made Gyoza's a while back and they are just as easy to make - full Gyoza recipe. 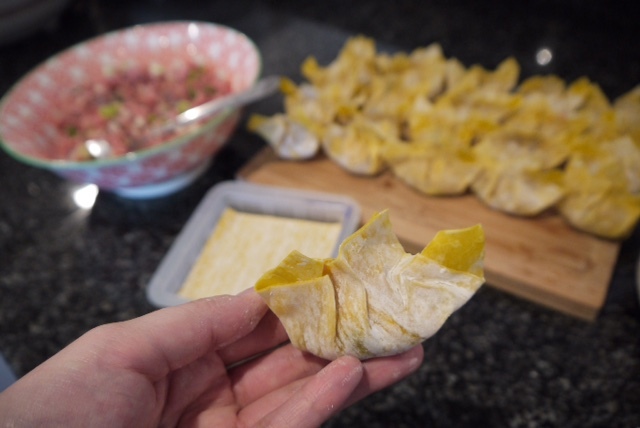 Have you ever tried Wontons and would you attempt to make these?